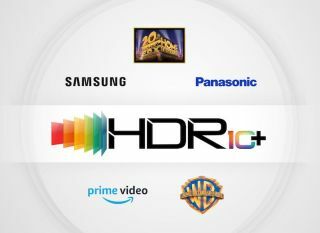 HDR10+ licensing and logo certification begins | What Hi-Fi? The questions is: how many AV brands will join founders Samsung and Panasonic in supporting this HDR format? The dynamic metadata HDR10+ format, a direct rival to Dolby Vision, was first announced last summer. Since then, the three founding firms (Samsung, Panasonic and 20th Century Fox) have gained support from Warner Bros Home Entertainment, and the format has made its way to Amazon Prime Video, with Ultra HD Blu-ray apparently next in line. Now HDR10+ Technologies has finally started the licensing and logo certification program for the technology. The HDR10+ license and logo is available to AV products (such as TVs, Ultra HD Blu-ray players, set-top boxes and 4K Blu-ray discs) that meet the HDR10+ technical and testing specifications - so it's likely we'll soon see the HDR10+ badge on product packaging. Supposedly over 40 companies across content production, distribution and consumption have pledged support for the format. And while there hasn’t been any official disclosure of the brands whose hardware will wear the logo, it’s almost certain Samsung and Panasonic TVs and Blu-ray players will be front of the queue - with HDR TVs from fellow supporter Philips not far behind. With LG and Sony already backing Dolby Vision, will they look to adopt HDR10+ too? Seems unlikely. While the HDR10+ license is open and free (unlike Dolby Vision) there is an annual administration fee that brands have to pay which, according to the license program overview, is between $2500 and $10,000 depending on the product. For content companies, such as Amazon, there is no fee. HDR10 vs Dolby Vision - which is better? HDR TV: what is it? How can you get it?